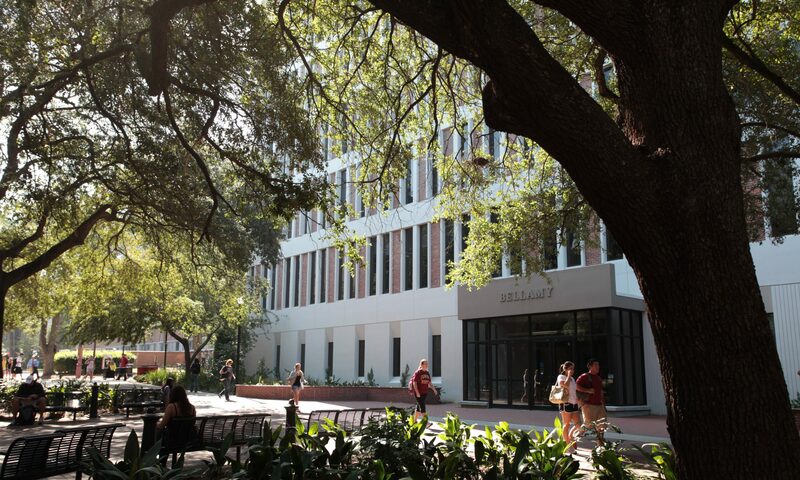 Florida State University is at an inflection point in its growth and development, and few programs demonstrate the level of innovation, nimbleness, and boots on the ground effectiveness as the College of Social Sciences and Public Policy’s social entrepreneurship program. The program has grown from zero students in 2013 to more than 150 enrolled in four classes each semester. The program has helped six students launch nonprofit organizations or social enterprises and seeded five social enterprises in international settings. Hundreds of low-income citizens and residents in marginalized communities in Tallahassee, Guatemala, Haiti, Uganda, and Nepal have benefited from these efforts. For example, Unhoused Humanity has put more than 120 homeless Tallahasseans into sustainable housing since its founding by student entrepreneurs 2015. Qulture, a pop-up art program focused on supporting local artists and cultural investments in low-income neighborhoods, has supported a dozen local artists and attracted hundreds of people to its cultural events since its founding in 2016. Another student is now empowering Guatemalan artisans by tapping into and developing a U.S. retail distribution network. In a nutshell, social entrepreneurship is the application of enterprise thinking and applications to solving social problems. Social enterprises vary in size and scope, ranging from the for-profit multinational Newman’s Own food company, which generates $600 million in sales annually, to local coffee shops such as Tallahassee’s non-profit Red-Eye Coffee. Newman’s Own is a more traditional business, a corporation that dedicates after tax profits to charity–a half billion dollars and counting since its founding in 1982 by actor Paul Newman and A.E. Hotchner. Red-Eye Coffee has a holistically integrated supply chain from ethically cultivated coffee to the living wage paid baristas in its local shops. The College of Social Sciences program has played an instrumental role in breaking down academic silos and disciplinary walls, consciously cultivating an interdisciplinary approach grounded in “design thinking” under the direction of Social Entrepreneur in Residence Bruce Manciagli. Design thinking, in the context of social entrepreneurship and innovation, recognizes that people are motivated by subjective concerns and operate within complex social, political, and economic systems. Solutions need to recognize the human-centered nature of the problem and develop approaches that recognize the opportunities and constraints presented within these institutions. For example, programs or enterprises focused on transitioning formerly incarcerated people into the mainstream labor force should recognize the legal constraints, disincentives for employers to hire people convicted of crimes, and the psychological barriers faced by ex-offenders in the design of the social enterprises addressing the problem. The human-centered framework embedded in the College’s Social Entrepreneurship and Innovation Program has grounded itself in an experiential, applied, and immersive program, creating a transformative experience for students. In seminars, undergraduate students are pushed outside their comfort zones to experiment with designing and implementing solutions to social problems they would have never conceived in a traditional classroom. Close partnerships with other academic units such as the Jim Moran School of Entrepreneurship, the DeVoe Moore Center, the Department of Economics, and the Askew School of Public Administration and Policy provide a broad range of opportunities for students to apply for and receive financial, staff, and mentoring support for taking their projects to new levels, including launch. Additional information about the Social Entrepreneurship and Innovation Program can be found on the college’s website here. The College’s program is directed by Bruce Manciagli, Social Entrepreneur in Residence. The DeVoe L. Moore Center’s Director of Social Entrepreneurship is Dr. Mark McNees, and Valeria Rodriguez is the Center’s Social Entrepreneurship Projects Manager. Dr. Samuel R. Staley is the Director of the DeVoe L. Moore Center.